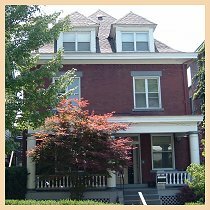 Maryland Ave CRR is an eight bed coed program located in Shadyside. Successes for Maryland Ave include 36% of the residents successfully completed the program and moved into their own apartments with less support needed. Also 25% of the residents were employed, volunteered, or attended school.